Beauty boxes for Mother's Day have been hugely popular this year and I've loved exploring what's in them. The gift of beauty will always be a sure fire hit for many and what better way to spoil Mum or someone special in your life than with something as perfectly curated as the lookfantastic Limited Edition Mother's Day Collection. 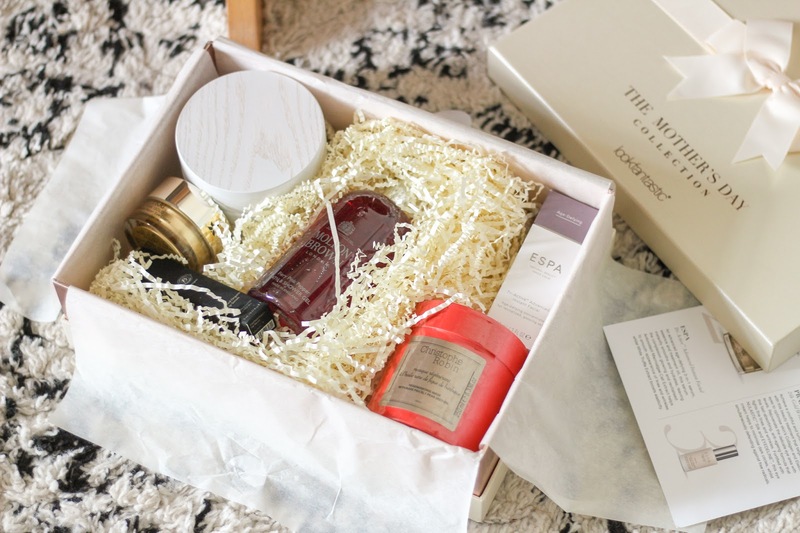 Lookfantastic are renowned for stocking some of the best and luxury beauty brands on the market so they're the perfect people to create a beauty box with luxury brands worth £208 inside. The Mother's Day box is cream in colour, with a pretty bow making it a beautiful keepsake you can use again and again. The box can be yours for £55.00 and if you're a subscriber you can get a special £5 discount code to use too. 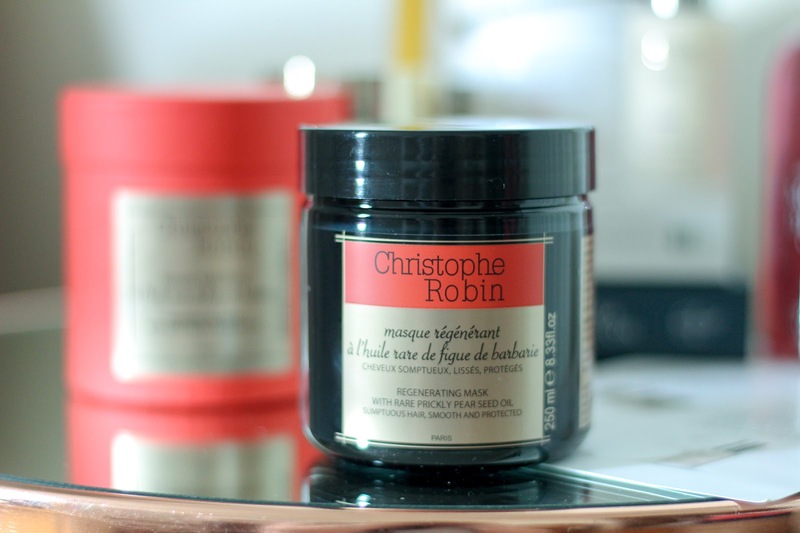 The first product in the collection is the Christophe Robin Regenerating Mask with Rare Prickly Pear Seed Oil (£54.00), I've used the Purifying Scrub with Sea Salt in the past and loved it so I can't wait to give my hair a little loving with the mask. It promises to help rejuvenate dry and damaged hair from root to tip, deeply repairing hair from within. It's enriched with pure prickly pear see oil which contains the highest amount of vitamin E oil compared to any other beauty oil on the UK market. It actually contains 150% more vitamin E oil than Argan oil so you can imagine what it can do for dull and damaged hair. 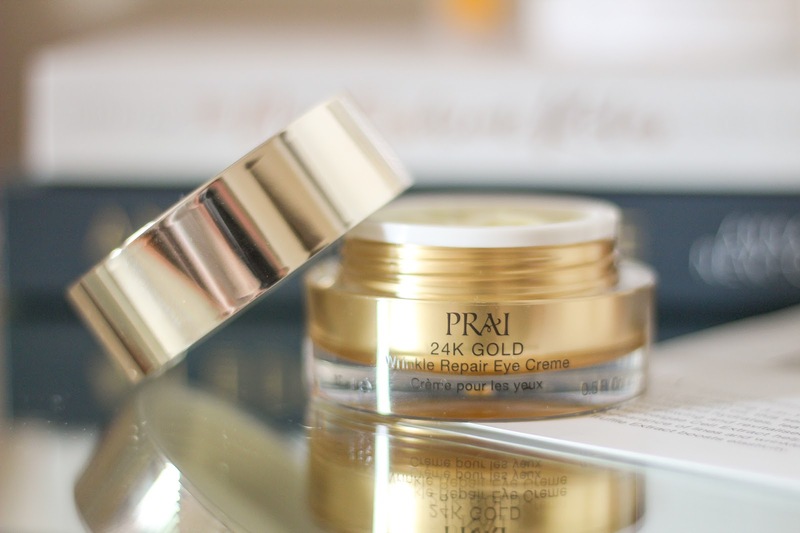 The second product is the Prai 24K Gold Wrinkle Repair Eye Cream (£27.99). This beauty treatment helps to rejuvenate the delicate eye area with its fast absorbing anti-ageing formula which helps combat fine lines, wrinkles and crows feet. It is fortified with revolutionary NULASTIC™ Silk and EYEDELINE™ a unique marine ingredient which helps to minimise dark circles and puffiness to achieve a smoother and younger looking eye area. The third product is from one of my favourite spa brands of all time, Espa. I have used countless products from the brand over the years and come back to them again and again. 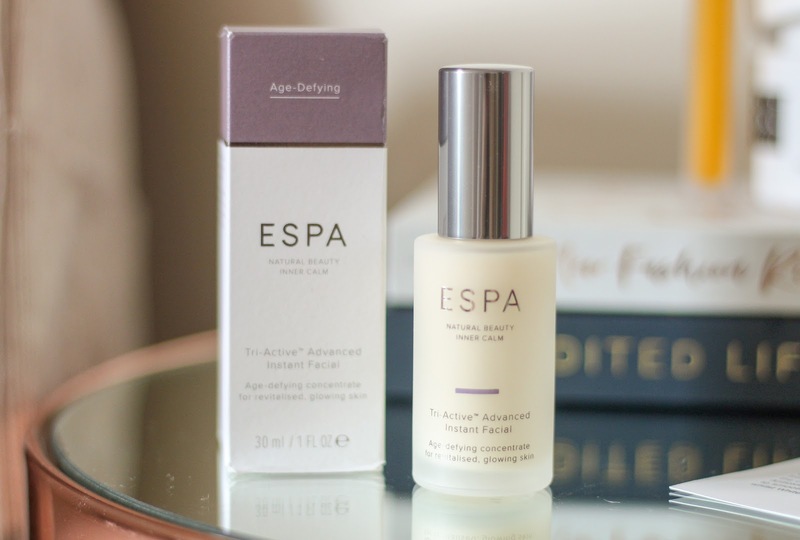 The Espa Tri-Active Advanced Instant Facial (£60.00) is one I haven't previously tried so it was obviously the very first product I took out the box and used! It's so important to use a serum, it's my favourite step in my skincare routine and the advanced age-defying 3-in-1 serum is beautiful. The serum smooths and hydrates skin leaving your complexion glowing and completely revitalised. The antioxident Macroalgae Cell Extract is what helps to smooth lines and wrinkles while the white truffle extract helps aid elasticity. Coconut, jojoba and avocado oils help nourish and strengthen the skins moisture barrier while the vitamin C boosts radiance. It's a beautiful product that has very easily slipped onto my every day use shelf. 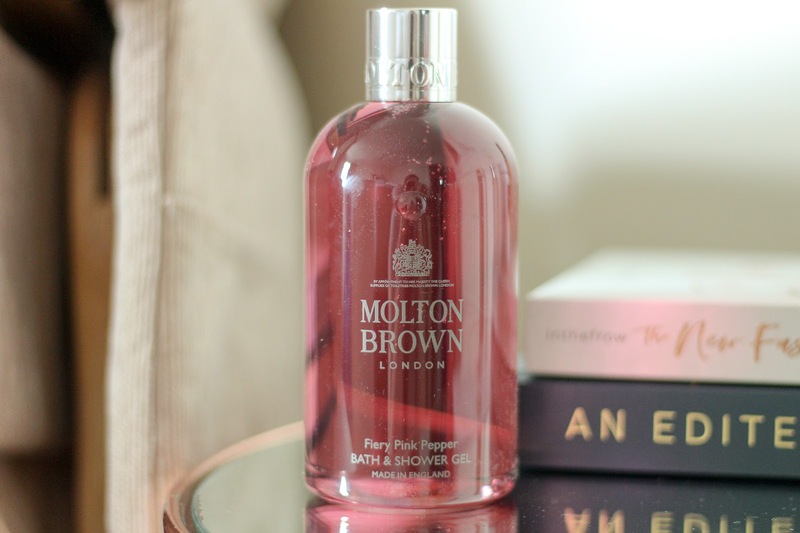 Number four is an old favourite of mine, Fiery Pink Pepper Bath & Shower Gel (£22.00) from Molton Brown. I think Molton Brown are the perfect present for most occasions and I have quite a collection of their bath and shower gels lined up in my bathroom. Fiery Pink Pepper is the first fragrance I ever used from them and it's still one of my favourites as it has such a spicy, masculine scent. The body lotion is gorgeous too! 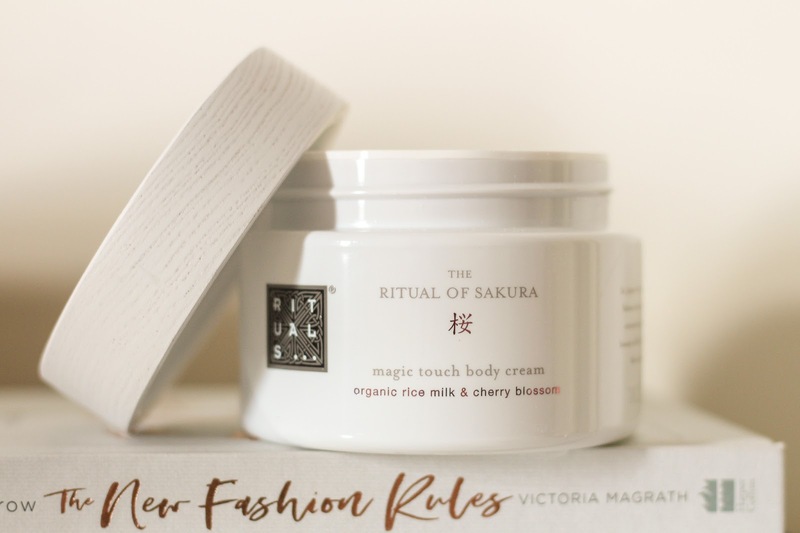 A product from Rituals is our number five, The Ritual of Sakura Body Cream (£19.50) is a delight to the sense and I want to smother myself in it for the rest of my life. The rich and creamy formula absorbs quickly helping to soften skin, especially knees and elbows. It's enriched with rice milk and cherry blossom to give a calming soft floral scent much like the Sakura bath bomb from Lush Cosmetics. It's a really lovely formula and you don't need to jump around for five minutes before you get dressed which is always a big plus point for me. The final product from the fabulous lookfantastic Mother's Day Collection is the Inika Certified Organic Lip Serum (£21.00). 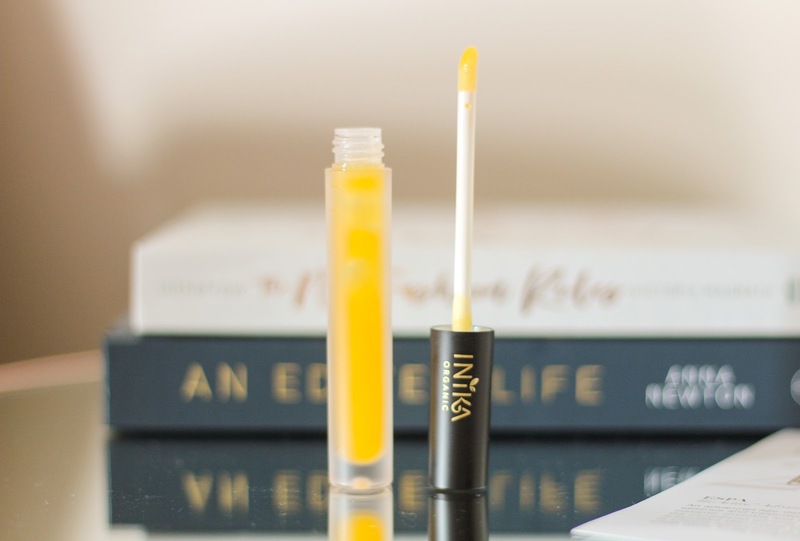 I haven't tried anything from Inika before but I am always open to a new lip product so the lip serum certainly had my attention. The lip serum nourishes, hydrates and gives a long lasting effect thanks to a whole host of skin loving ingredients. The serum contains sea buckthorn which is full of fatty acids and antioxidents as well as jojoba, sunflower and rosehip Oils to condition plus vitamin C and vitamin E to hydrate. It feels lovely on lips and the tube makes it super easy to whip out and apply. 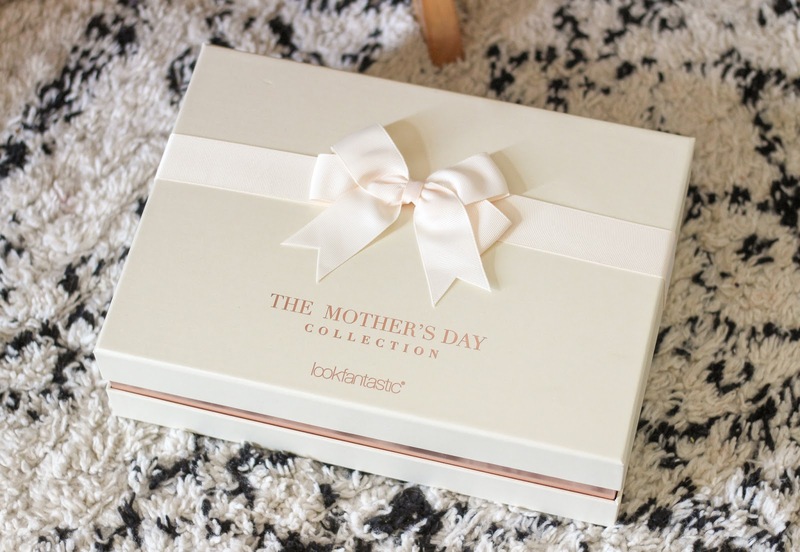 The lookfantastic Mother's Day Collection limited edition box is on sale now but you need to be quick because once they are gone, they're gone! It really is such a fab selection of products that you won't want to miss out on such a good saving. You can purchase the box for £55.00 now via the lookfantastic website. What's your favourite product from the box? 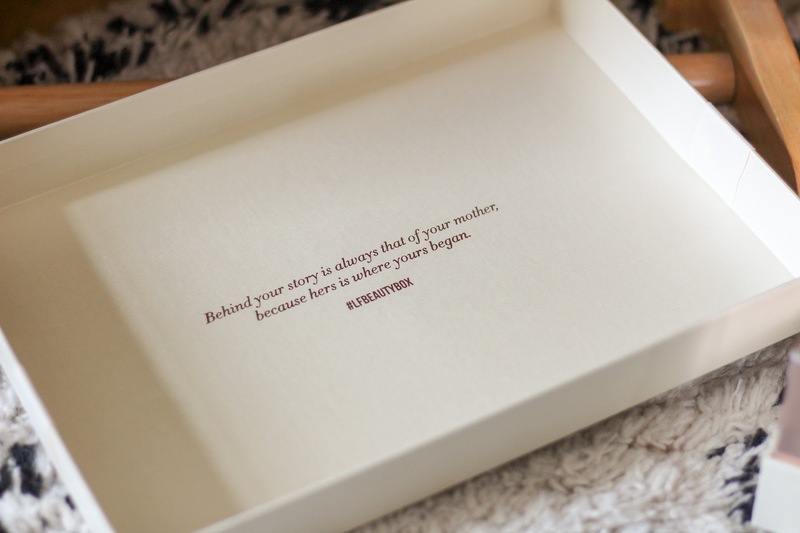 The lookfantastic Mother's Day Collection is a press sample - see disclaimer. This is full of some incredible sounding products. I might treat myself to one. Oh wow that looks SO beautiful! This sounds like amazing value for money! The Christophe Robin masks sounds like it should be Winnie The Poog themed though!